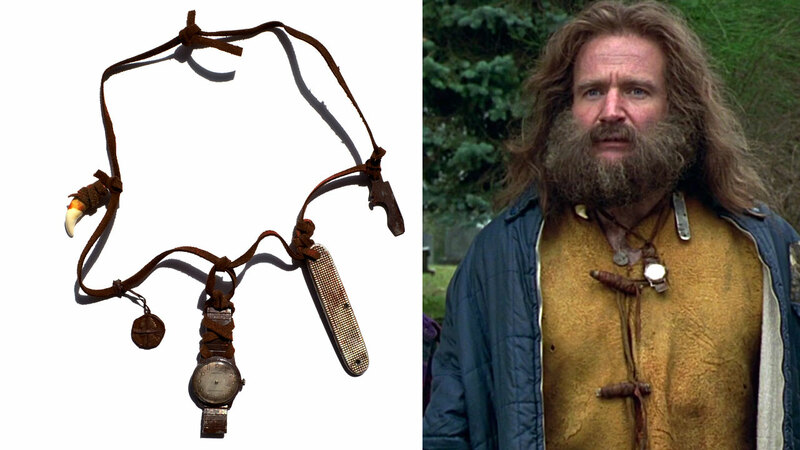 Jumanji has been part of my childhood and I always had a particular affection for this film. It is the reason why I started to collect and create a few props for it. Here is the complete collection. Please note, the Jumanji board has been created by Markoon and painted by Jordan Samper. I have made all of the other items. 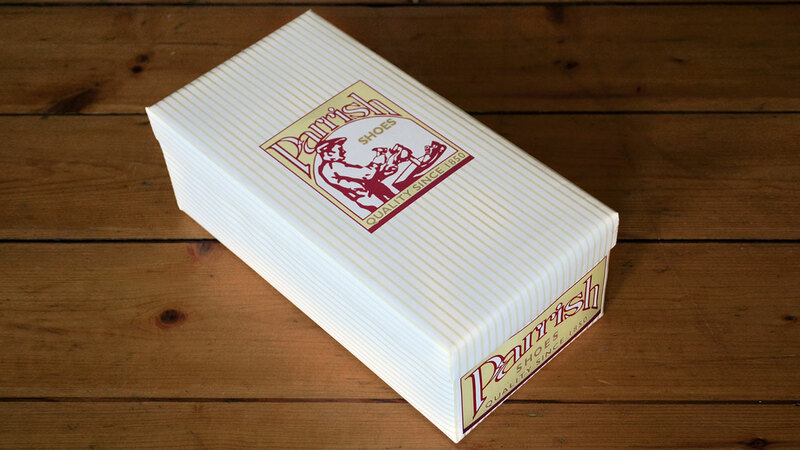 I have recreated the famous Parrish shoes box as seen at the beginning of the film. I have entirely made Alan Parrish's necklace from found objects and repainted them to create this rusy look. The watch has taken the longest time to find. 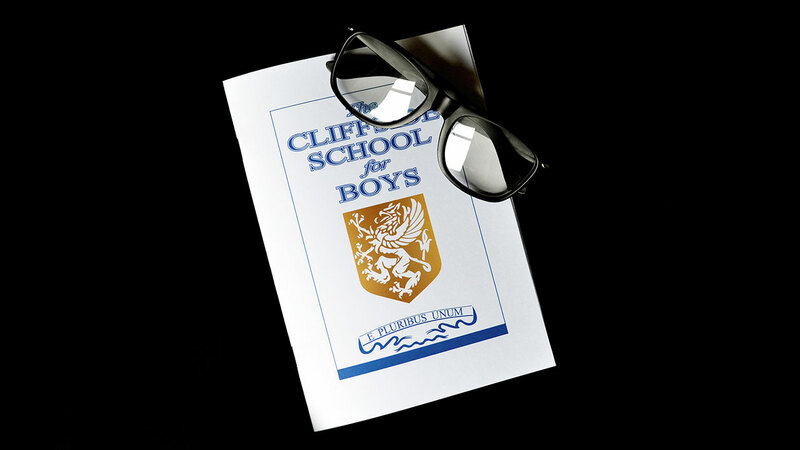 I recreated "The Cliffside school for boys" leaflet as seen in the scene where Alan's dad announces to his son that he will be soon sent to a boarding school. 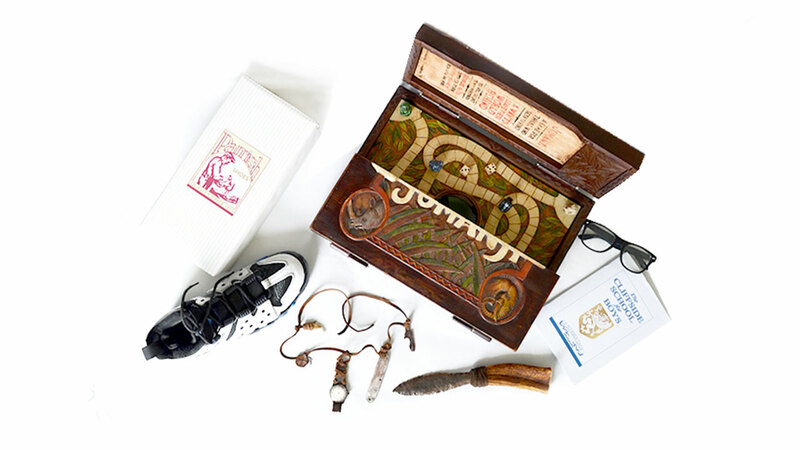 I have used a vintage Nike Air Max shoe for this prop. 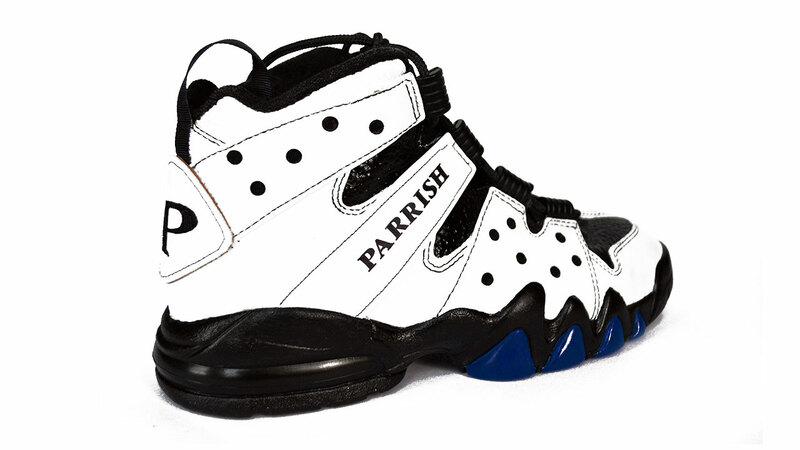 I repainted the shoe entirely, created extra strips of leather, and applied the "P" and "Parrish" logos on them.